Auricchio, A. — Singh, J. — Rademakers, F.
Details all of the current imaging methodologies designed to assist in the electrophysiology department Written by experts from around the world in the field of Cardiac Imaging A clear and concise review of the topic Major technological, basic and clinical research breakthroughs have led to impressive changes in both diagnostic and therapeutic capabilities for the management of cardiac rhythm disorders. Diagnosis has been enriched by sophisticated electrocardiographic recording systems and automatic analysis techniques, by the development of 3D electro-anatomical mapping systems, advances in novel implantable devices, capable of recording electrical signals, as well as intracardiac and intravascular pressures. During this time, the most striking progress in the therapeutic arena has been in catheter-based ablation of different rhythm disorders, and rapid progress in the device therapy. Consequently, the role of the electrophysiologist in the field of cardiology has significantly expanded and the role of cardiac imaging has become a crucial and integral part of diagnostic and therapeutic electrophysiological procedures. Cardiac Imaging in Electrophysiology reviews the role of imaging in the diagnosis and management of patients with cardiac rhythm disorders. 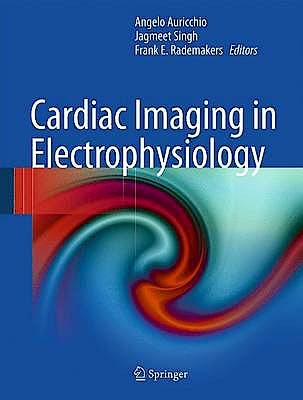 The Editors and their carefully chosen panel of contributors highlight the various cardiac imaging modalities now available to guide the electrophysiologist, from first encounter with the patient through post-procedural care. These modalities have come to play an important role in appropriately selecting patients, guiding therapy, thereby reducing complications, and enabling us to closely monitor the effects of device therapy or catheter ablation procedures, and consequently this book will be of huge value to physicians and trainees in both electrophysiology and cardiac imaging to provide continuity of care for this often challenging group of patients. SECTION 2. Non-invasive cardiac imaging modalities. SECTION 3. Invasive cardiac imaging modalities.